A: Painting with a Twist; looks like art ...feels like fun! 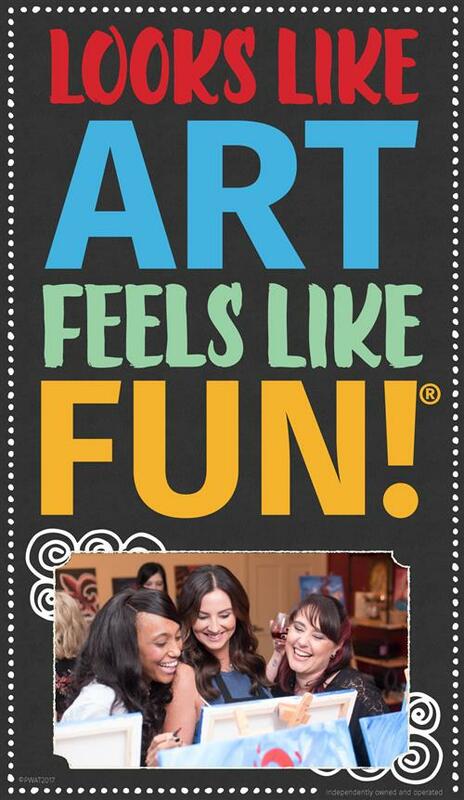 Our Cocoa Village studio is for everyone; no art experience needed! Our local artists will guide you step by step through a painting that you get to take home! The Twist? Well now that's up to you... we are a BYOB, no hard liquor please. We have music, games, prizes and more! A: Two hour classes are offered for $35 and three hour classes for $45. Select Family Friendly classes offered for $25. Three hour large canvas classes are $55. Memories, priceless! Q: What if I want to paint something not listed on your monthly calendar? Q: Are we allowed to bring in beverages and food? A: We hold classes at specific times and require reservations with payment to secure seats. To join a class, please view our calendar, select a painting you like and register online. Q: Do I need to bring anything with me to paint? 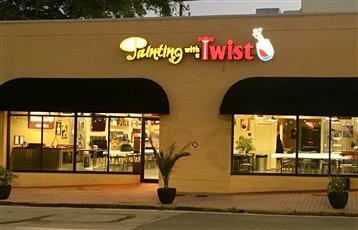 A: Your reservation fee includes everything you need to create a beautiful and unique painting! When you arrive you are supplied with an apron, canvas, brushes, paints and step-by-step art instruction throughout the class! When class is done, your artwork is ready to hang! A: Acrylic paints don't come out of cloths easily so keep this in mind when planning what to wear to your class; we will have aprons for you to wear. Make yourself comfortable, this is your party! Q: How old do you have to be to paint/Can my child come with me? A: We have specific classes on our calendar for young artists! Family Day/All Ages classes are intended for ages 6 and up. Teen & Up classes are intended for ages 12 and up. Evening Public classes are for adults 18 and older. Q: Can my friends come and watch us without painting? A: Everyone needs a paid seat to stay on premises during all classes, except during an All Ages class. A: Canvases range from our typical 16x20, to our new 12x12 & Large Canvas 36x24. A: The calendar is posted by the 15th of every month. A: Fifteen to thirty minutes is plenty of time to uncork and settle in. A: Store credit will be given for individuals canceling with at least 24 hours notice. "No shows" will not be issued store credit or refunds. If you are late to the class you may not be allowed to paint and your payment will be forfeited. For refund policy for Parties please see Party Info. Painting with a Twist reserves the right to cancel classes for unforeseen circumstances. Registrants will be notified at least 24 hours prior to class time and refunds will be processed.